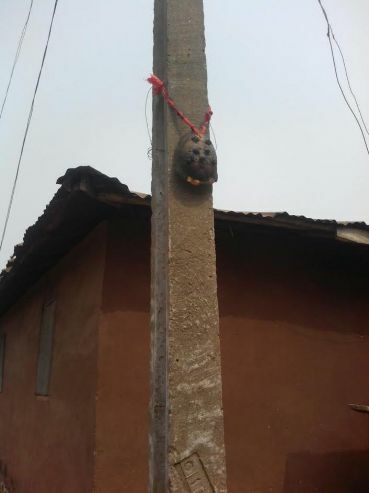 The Ibadan Electricity Distribution Company Plc twitter handle shared this photo today with the caption "Lol, some Nigerians will do anything to avoid paying bills. As seen in Oyo state. Have a great week! ".